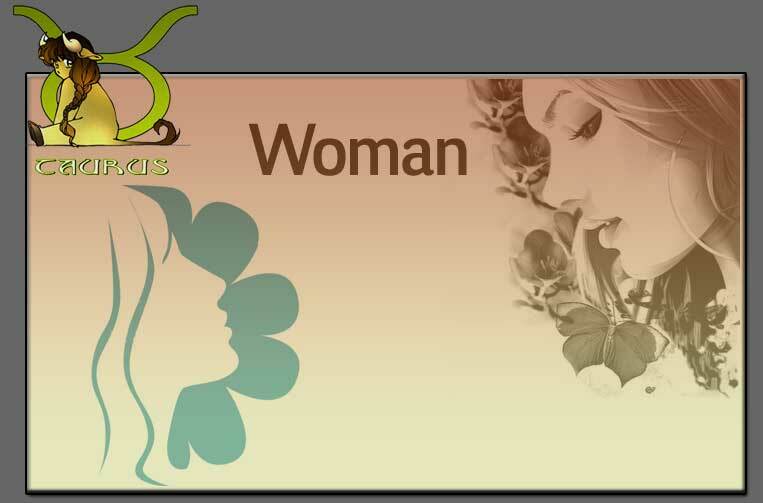 The Taurus woman is known for their internal power though externally gives an unruffied or a serene look. They are born with the ability to withstand difficulty any act of provoking or inciting. They give a very long rope but once when things get out of control they charge like a bull and nothing can stand in their way. Taurean women are skilled at making a little money go a long way - personal possesions, accumulated in abundance, are lovingly and meticulously cared for, simple food is made up into gourmet feasts and bagain and clothing is transformed into designer outfits.Inspite of a strong will power at times laziness pops up. They are not designed to delude that they do not want to. They are very much concerned about the judgment of the goodness or badness of human action and character and are highly courageous. They are good at home making. They are known for their loyality and are very firm and determined in all their deeds.